All our Chalets are surounded by a lush tropical garden. All guests may enjoy our newly refurbished Restaurant, lounge, Bar, outdoor swimming pool and Wireless Internet area. The Hotel maintains Standard and Superior Chalet (room) typs. All Guest House Rates are calculated per room and include applicable taxes. 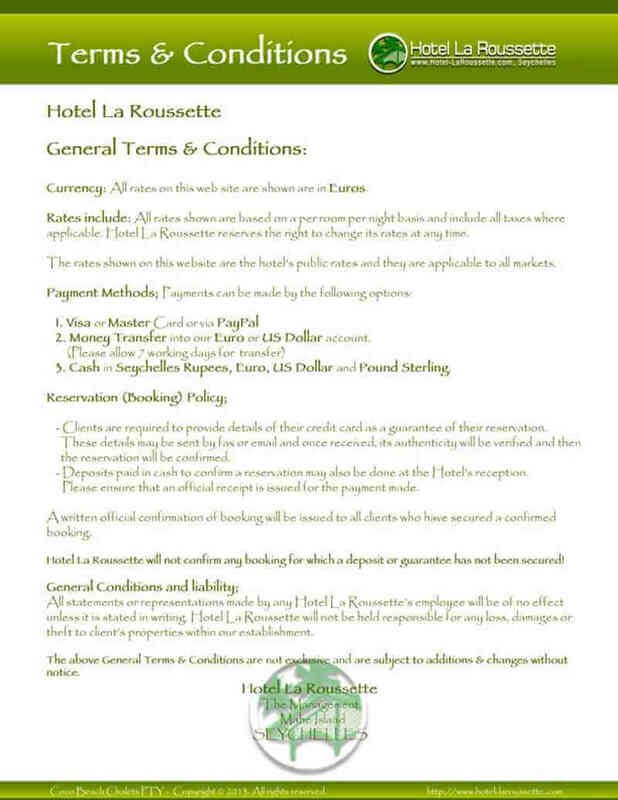 Prior to making a booking in Seychelles, we kindly ask you to view our General Terms & Conditions and Cancellation Policies. Mini Fridge Incl. 9 lits. Please Check Accommodation Rates & Book Directly! Check Availability Now! Children’s Policy: Children under the age of 2 (Infants) will be accommodated free of charge when sharing with a full paying adult. Children age 2 to 11 years old will be charged as calculated below per child when sharing with a full paying adult. Children 12 years and over will be charged as an Adult. Two children (2 to 11 years) sharing their own room will be charged our single use room rate. 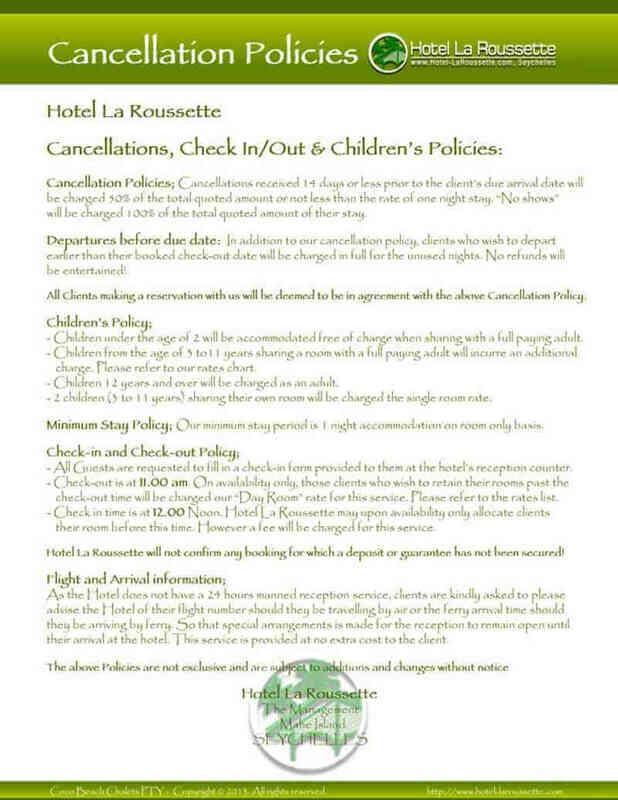 General Terms & Conditions and Cancellation Policies.